Last week I read a refreshingly candid article titled “Choosing Real-World Impact over Impact Factor” in The Chronicle of Higher Education. 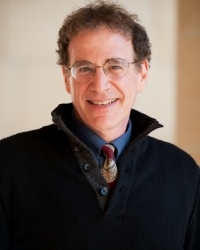 It was written by Sam Wineburg, a professor of education and history at Stanford University. He had spent time on various activities intended to make a practical difference for teachers in their work, but there was no place to include those activities in his annual report because they are not valued by the academy. I want Professor Wineburg and others to know that there is at least one professional school where you don’t have to choose between creating new knowledge and having a real-world impact. It is the School of Government. Our faculty members live in both worlds—producing legal and social science research that improves understanding about government, and translating that research so that public officials can understand and apply it. Ernest Boyer’s classic report in 1997, Scholarship Reconsidered, challenged universities to embrace a more expansive and flexible definition of scholarship. He encouraged institutions of higher education “to support and reward not only those scholars uniquely gifted in research, but also those who excel in the integration and application of knowledge . 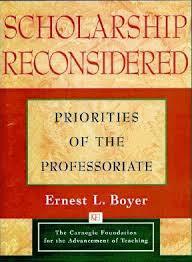 . . .” I am skeptical about whether most research universities have accepted Boyer’s challenge. School of Government faculty members are involved in both kinds of work—original research and its application. Boyer wrote that “[t]o make complex ideas understandable to a large audience can be a difficult, demanding task, one that requires not only a deep and thorough knowledge of one’s field, but keen literary skills, as well.” The School has long been a leader in the field of engaged scholarship, even before it had a name, and our faculty members have continued to find innovative ways to make their knowledge accessible—whether through webinars or blogs. Unlike Professor Wineburg, they are rewarded for their real-world impact through the School’s promotion and tenure policy, which is recognized by the University as a legitimate form of scholarship. I love that the School of Government is a recognized leader in the area of engaged scholarship. For a variety of reasons, higher education is slowly, very slowly, moving in that direction. It is so much easier to conduct traditional scholarship and not worry about whether it makes a difference for practitioners. Translating academic research and making it accessible to public officials—without losing the complexity—is hard work that requires faculty members to exercise a different set of intellectual muscles. The School asks faculty members to live in both worlds and they do it beautifully—with the advantage of support from a professional staff that makes the translation so much easier and more effective. The SOG was considered a model for “demand-driven” (Erskine’s term) engaged scholarship during the UNC system’s UNC Tomorrow strategic planning effort. SOG definitely occupies a marvelous, unique and rare place in the world, both conducting and translating academic research. I am fortunate to be a part of this exciting enterprise! I have a different perspective on practitioner use of PA journal articles. Jim Perry’s research on public service motivation has been incorporated into some public employee testing; Mary Guy teaches her emotional labor research (w/colleagues Mastracci and Newman) to practitioners all over the world (most recently in Pakistan); Trevor Brown’s research on contracting recently earned him the National Institute of Government Purchasing’s Scholar of the Year. This tiny sample of influential PA research started out in scholarly form, with carefully crafted hypotheses, statistical analyses and language that allows academics to speak concisely and meaningfully to one another. I disagree with Wineburg’s generalization about the role of translators in scholarly research. Journalist Daniel Pink (Drive) has put motivation on the map by synthesizing and explaining Deci and Ryan’s work on self-determination theory. Without the basic SDT research, including its careful formulation and testing of scientific propositions, Pink’s book would not have been nearly as influential. Ditto Sheryl Sandberg’s Lean in, Susan Cain’s Quiet, or Daniel Coyle’s the Talent Code. If not backed up with solid social science, engaged research can easily spout platitudes and hype. This is where scholarly journals are invaluable: they protect knowledge claims, resist the time pressures of the “real world”, and seek to disseminate valid — dare I say truthful — information to the world at large. Wineburg’s generalization, like Like all generalizations, tries to prove too much. You are right. His research was critically important to the applied work he has been doing in schools. Wineburg has done his own translation, and you have listed popular authors who have made academic research accessible to a wider audience. I would add Malcolm Gladwell to your list, and I’m sure that there are others. In some ways, however, I think most of your examples are exceptions that prove the rule. Scholarly research can be incredibly important for the reasons you list, but it is almost entirely serendipitous whether it has a wider circulation. Think of all the research that is never mentioned beyond the pages of a scholarly journal. I think Wineburg’s main point is that scholars should take greater responsibility for getting their work out into the world. That first means the research has to be there, of course. For most social science scholars, there is no ready vehicle for the practical translation, and many scholars, sadly, don’t seem all that interested in that next step. 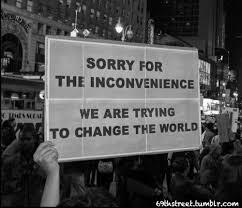 Luckily the School offers a way to have an impact in both worlds, and we are fortunate that you are helping to make it happen. At least the incentives are changing, if not at glacial pace. And SOG is a model nationally (and internationally) for making that happen. That’s the story we need to tell as far and wide as ears will hear.